The Shearer Group, Inc. Awarded Ferry Design Contract by the Texas Department of Transportation | The Shearer Group Inc.
Houston,Texas – August 31st, 2017 – The Shearer Group, Inc. (TSGI) was recently awarded a five-year Indefinite Deliverable contract with the Texas Department of Transportation (TxDOT). TSGI will provide design, engineering and construction oversight services to TxDOT for a new 500 passenger, 70 car ferry providing service from Galveston Island to Bolivar Peninsula. The Shearer Group, Inc. (TSGI) is the global leader for design of inland towboats, ferries and barges. 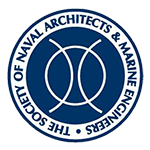 We have a rich history of providing naval architecture, marine engineering and marine surveying services to the marine industry, with a focus on the inland sector.